Mo Magic understands the need to support worthy causes, however due to the nature of Mo’s work schedule, he is unable to oblige all requests. Most of his corporate social responsibility, charity and fundraising work is done during the early part of the year. Should you have a request, kindly make contact using the contact form and include the nature of organisation, details of the event etc. 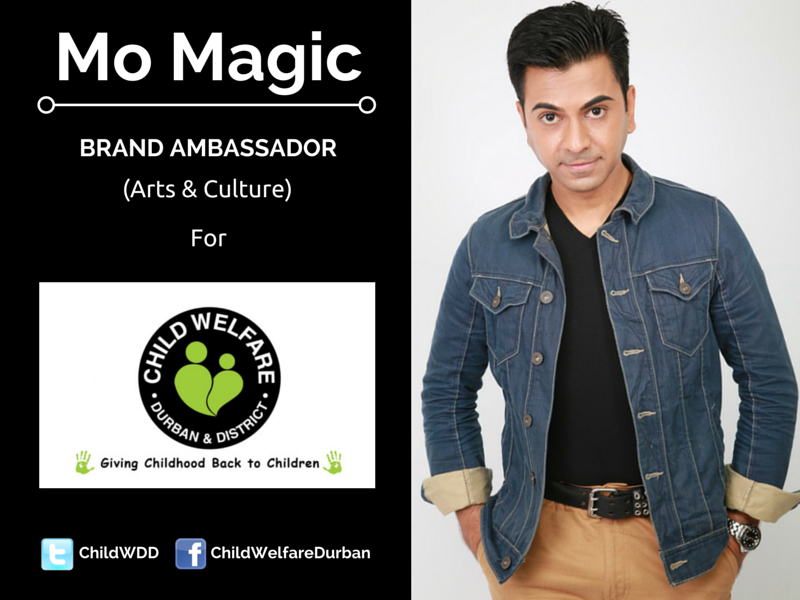 As of 1 June 2015, Mo Magic has graciously accepted the invite to be the Brand Ambassador (Arts & Culture) for Child Welfare, Durban and District.